Outnumbered is a British sitcom about a family with three children. It is partially improvised, with only the adult actors being given scripts to learn, leading to often hilarious results. If you have seen the show, are you a fan? 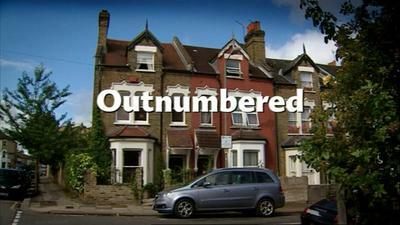 Outnumbered Titles, BBC via Wikipedia. Fair use. I love that show. As a parent the random exasperating thigns the kids say really ring true for me a lot of the time. I watched the very first series and quite enjoyed it, but by the time the second series had come along I had got bored of it. I was quite surprised to see how grown up all the kids in the show were now when I saw a clip and read a article about how old they were. Time flies so quickly. I have not heard of it before -is it still on in Australia? It repeats on the ABC fairly often. The first season is on iView at the moment. It could easily have been a hidden cam recording of daily life in our household when the now adult family were kids.